Any conversions or page views happening within Wishpond campaigns automatically get tracked by Wishpond. You can view these stats from the campaign dashboard or the leads tab. 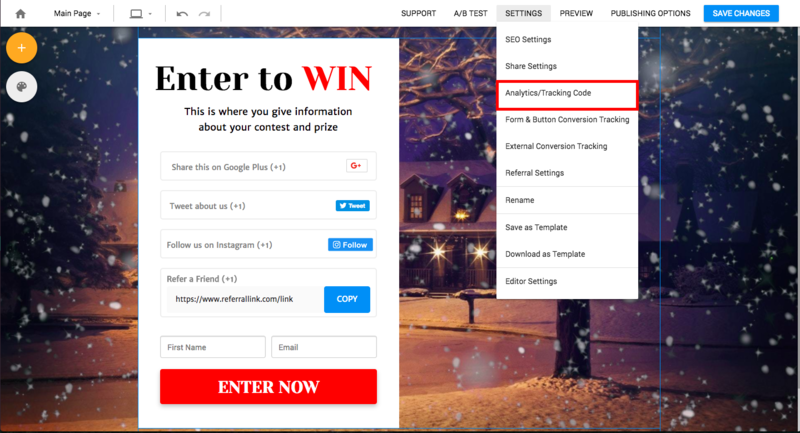 If you would like to add additional tracking codes to your page for more advanced tracking, you can click th analytics/tracking code tab under settings. 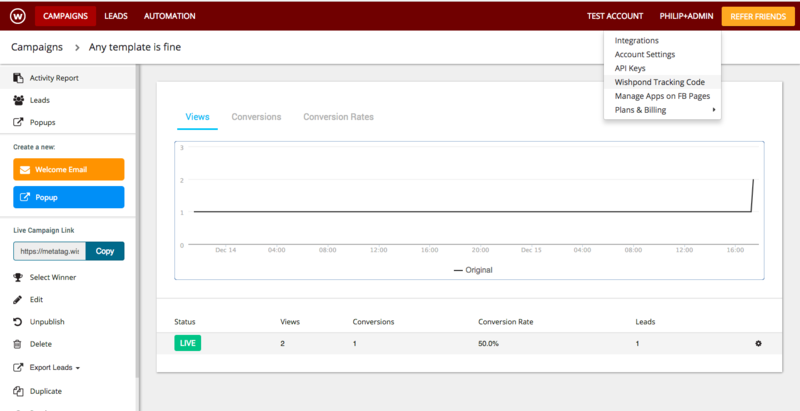 Wishpond gives Google analytics, Facebook Ads Pixel, Adwords conversion tracking, etc as tracking options. 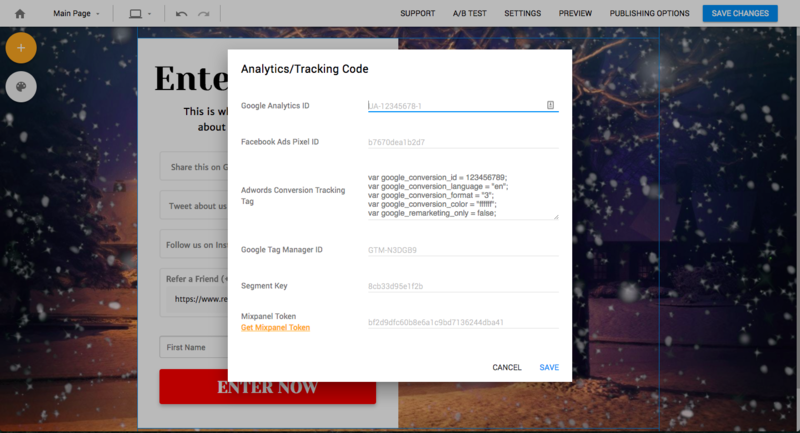 You can add your codes or IDs to each of your campaigns to start tracking your leads. 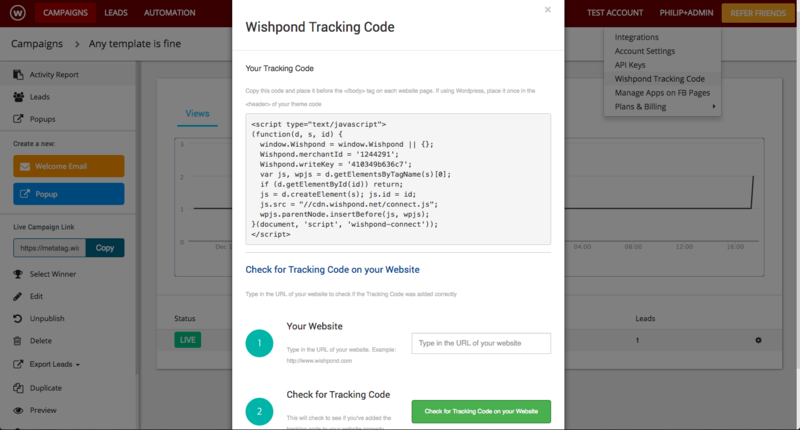 Finally, to track visitor stats on your private page using Wishpond, you need to select the "Wishpond tracking code" tab within your dashboard. Then copy and paste your tracking code to your home page <body> tag area to start tracking visitors.